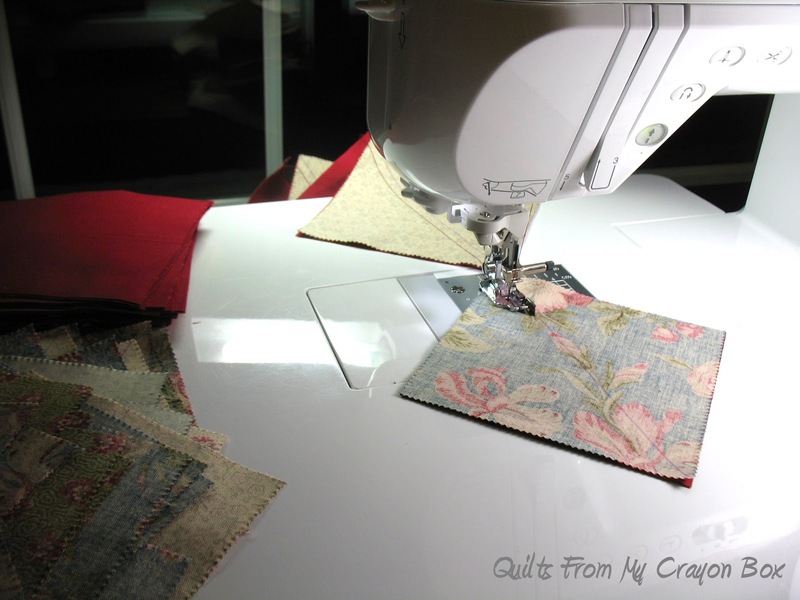 Last May I was lucky enough to win 2 charm packs of Moda's Love Letters from Sharon at Vrooman's Quilts. 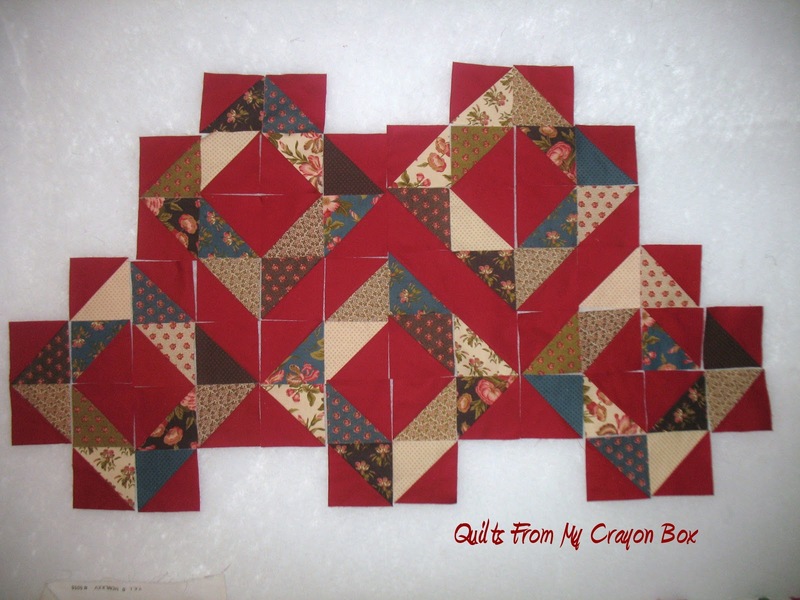 At the time I was buried deep in completing the teacher quilts so I didn't have time to make something with them. I had an idea but they got put away until now. Last Friday night I started with this....the 2 charm packs and a pile of 5" squares in Rich Red. I managed to do a ton of quick chain piecing. Then it was onto cutting them apart. I managed to iron about 2/3 of the stack before I decided I'd had enough and went to bed. On Saturday I finished the pressing and sorted the piles so I could start laying it all out. I did manage to finish laying it out last weekend but came up a few blocks short. Then because of the kids' Chinese New Year/TET parties at school and work this week, I didn't get back to this until yesterday. Having some ME time finally was really nice. I stitched up the few remaining blocks needed, completed the layout (a bit tricky to get them all orientated the right way to complete the lines) and then stacked them all up to start sewing them into pairs and then into rows. Thank goodness that once I pressed the first row of blocks I put them back up on the design wall to check that I had sewn them together right. Guess what? Of course....I screwed a couple of them up. No surprise there. Good thing I checked before I had sewn them all into rows and then the rows together. 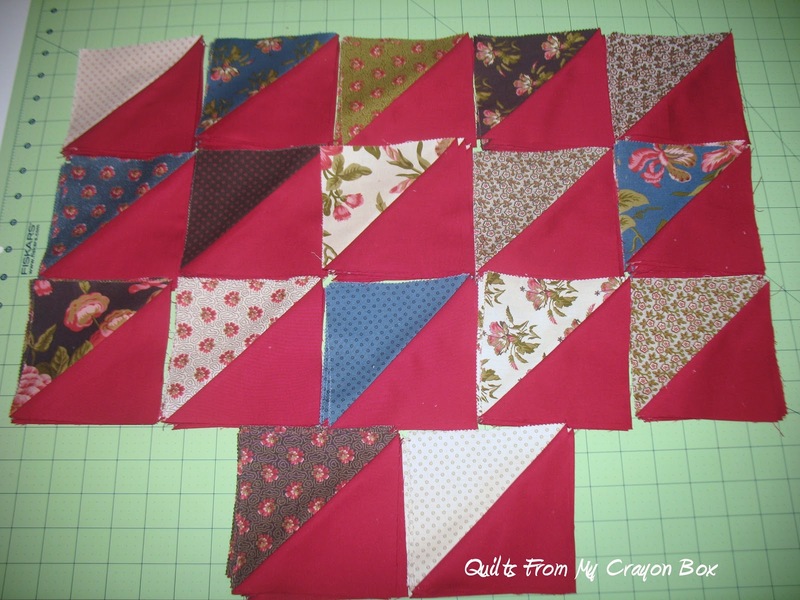 The seam ripper got a little work out, I resewed the 3 pairs together correctly and completed that row. 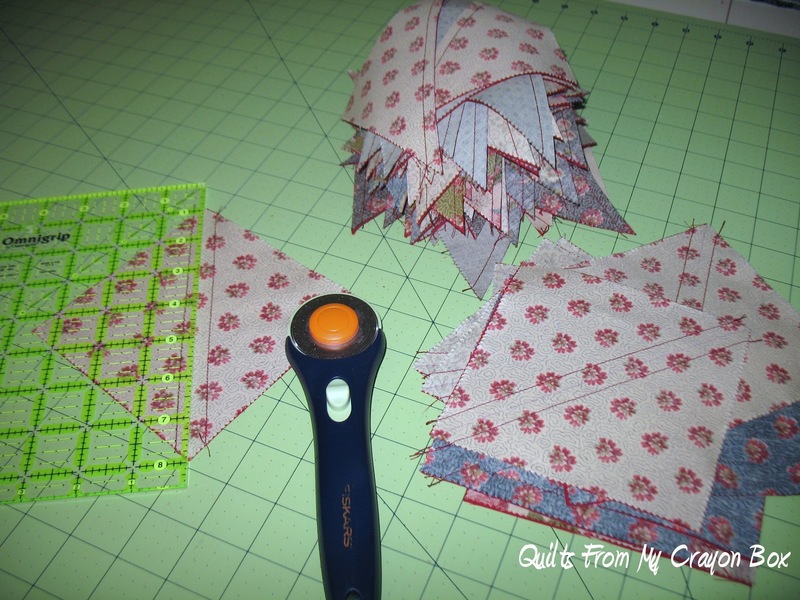 By then I had enough for the day and again called it quilts. I had been up since 5 am and I was bushed. My plan this weekend, since we have nothing else on our schedule at all (hallelujah) is to finish sewing this top together and have it ready to be quilted by next weekend. I'm going to do this one myself on my Lucy. 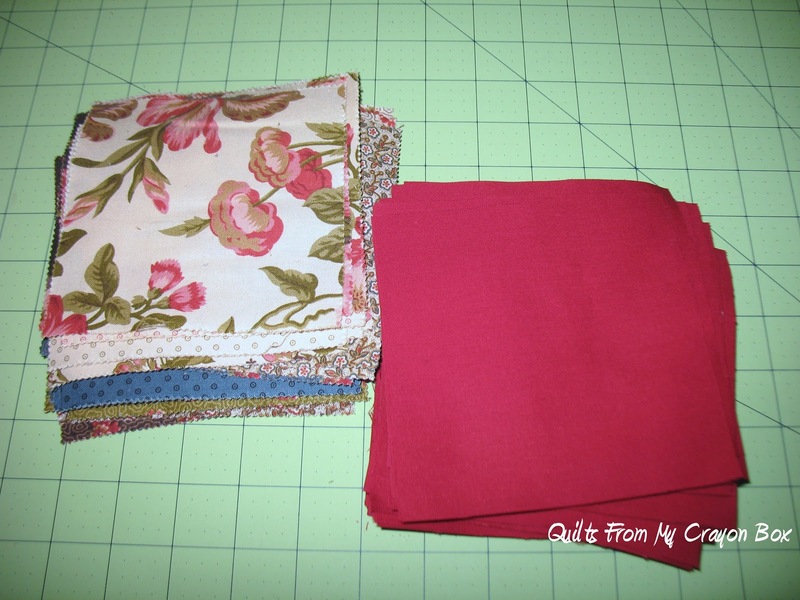 It will be my first real quilt completed on my machine and my machine only. Looking good and hope you get your ME time this weekend. I have a binding to finish and then I am playing in my scrap bin for the weekend. LOVE this! I will probably steal the idea, LOL...so don't be surprised! Pretty Pretty! I just love HST's...every quilt is beautiful with them.